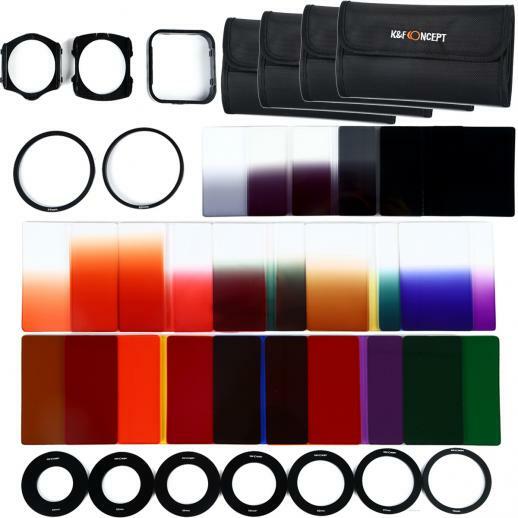 Buy K&F Concept 40 in 1 square graduated color nd filter kit online, worldwide free shipping and 30 days return guarantee. 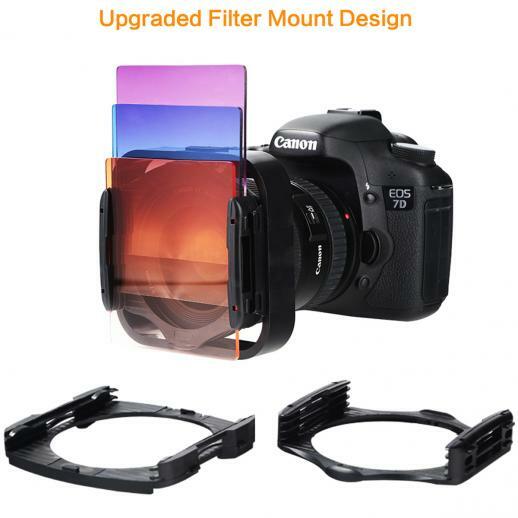 • Kit includes: (Square Full Color Filter of Blue,Orange,Brown,Pink,Red,Green,Yellow,Purple + Square Graduated Color Filter of Blue,Orange,Brown,Pink,Red,Green,Yellow,Purple + ND2 G.ND2, ND4 G.ND4, ND8 G.ND8,ND16 + Sunset Filter + 9pcs Filter Adapter Rings + 1 Lens Hood + 4 Filter Bags + 2 Filter Holders ). 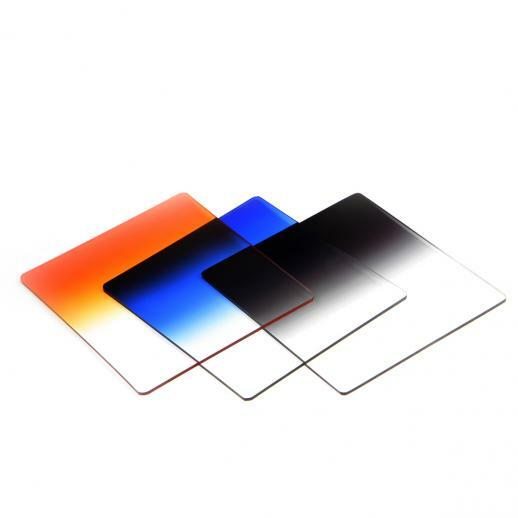 • Fits with the square filter ring and holder, great for photographing the sky, the sunset, the rosy cloud, the lake water, etc. 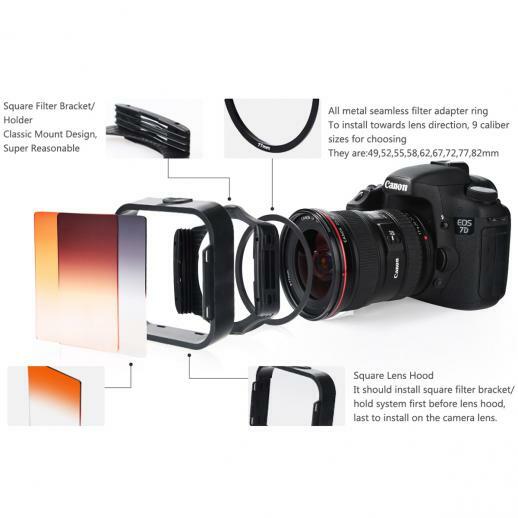 • Control light and colour directly on your raw images at the time of shooting. 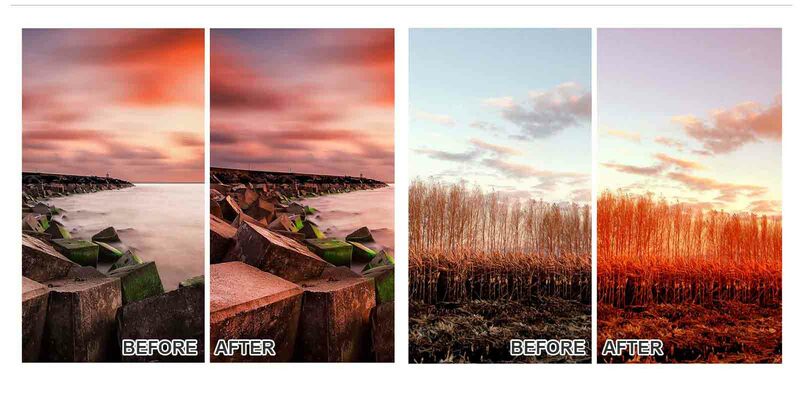 • Keep the quality of your images without excessive post production work. 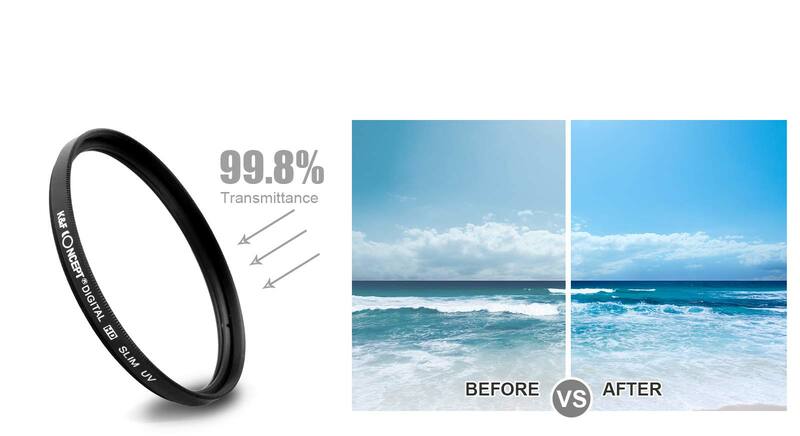 • Metal sealing ring instead of the plastic sealing ring,better tightness.avoids fall or loose. 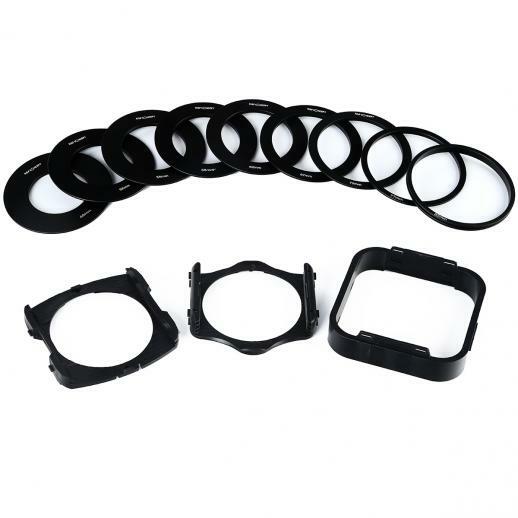 Can be used for any type of photography. 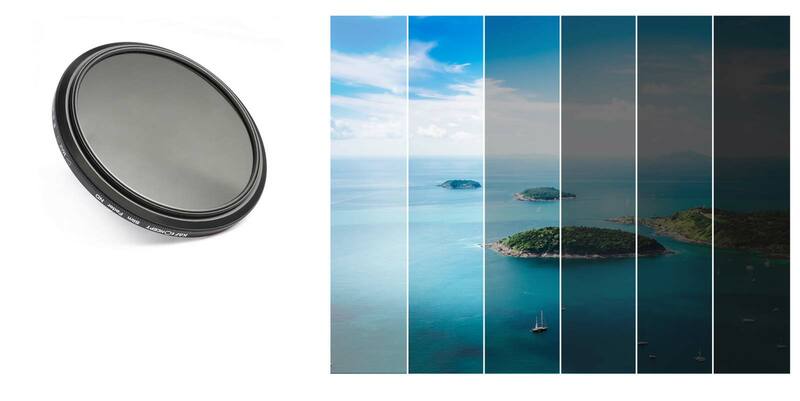 Polarizing filters are typically circular, allowing for easy control of the effect of polarization. 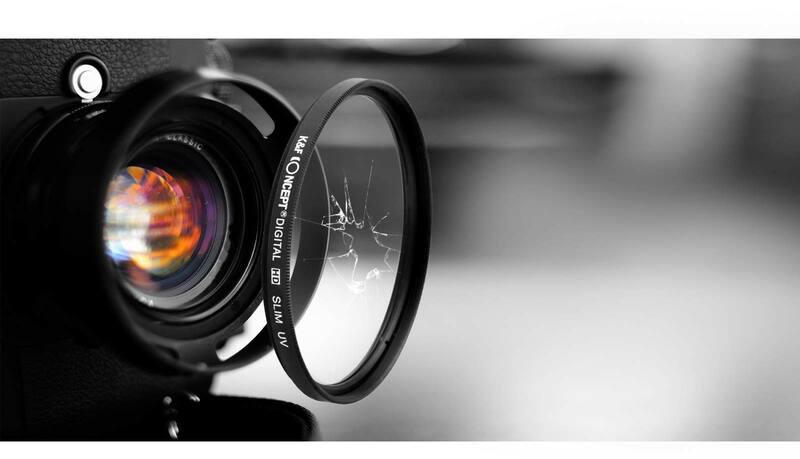 Protects the front element of a lens from dust, dirt, moisture and potential scratches. 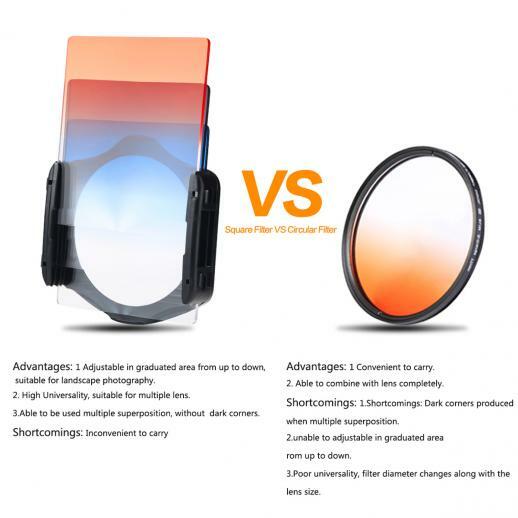 Reduces the amount of light entering the lens, thus decreasing camera shutter speed. 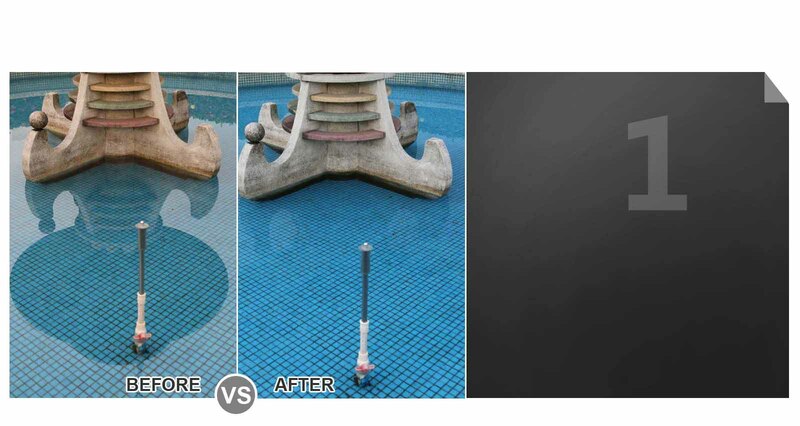 Useful for situations where motion blur needs to be created (rivers, waterfalls, moving people) or large apertures must be used with flash to avoid overexposure. 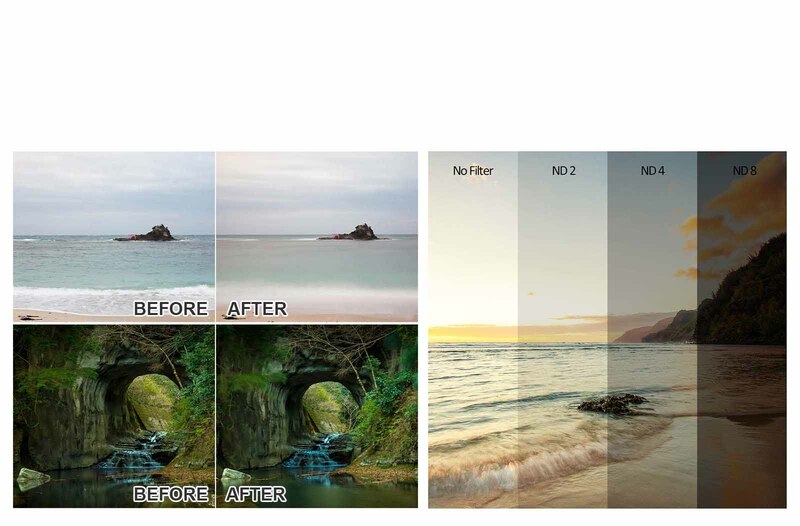 Corrects colors, resulting in a change in camera white balance. 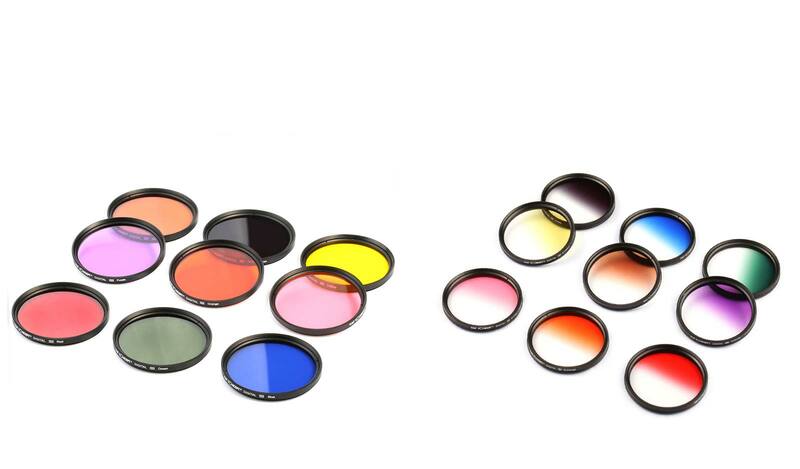 Some color filters can subtract colors, blocking one type of color and allowing other colors through. 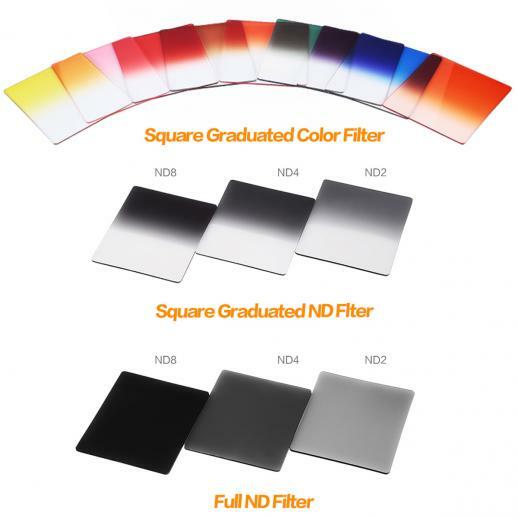 These types of filters were popular for film. 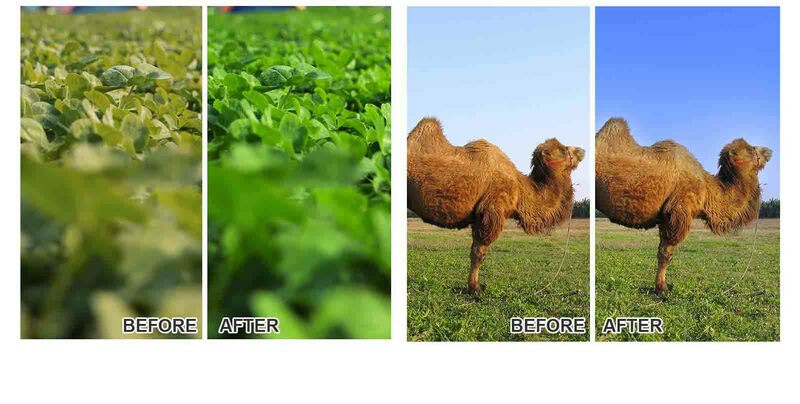 They are rarely used in digital photography, since their effects can be easily applied in post-processing. Brilliant starter kit. 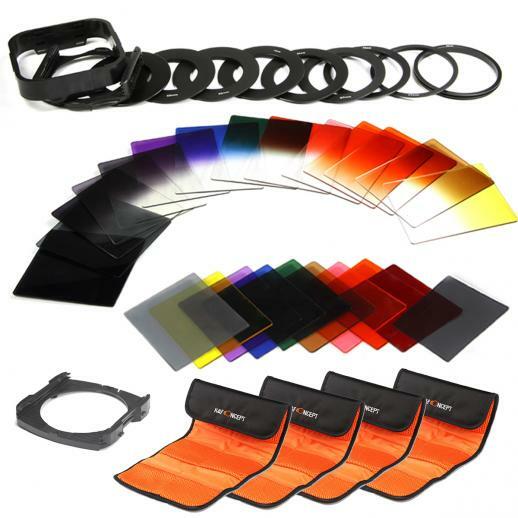 Includes lots of colours that you might not want so choose carefully with this. Out of all of these I only use 4 sets which is a shame. 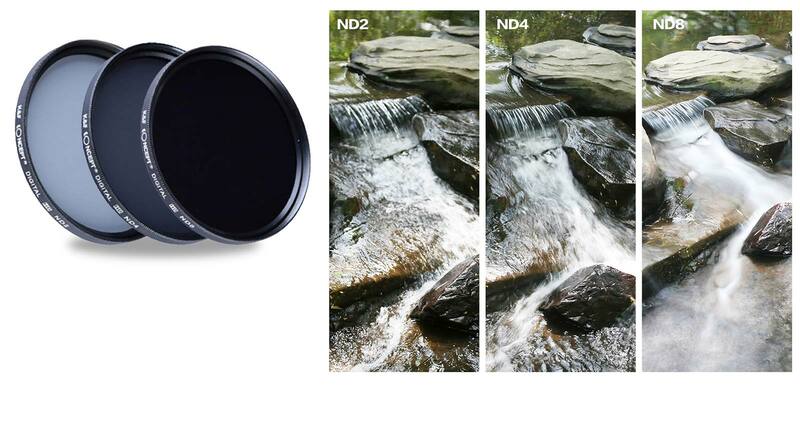 The ND filters are great. Putting it on the camera was a challenge as the instructions are quite poor.